This is a standard and well-known recipe for great tasting white cakes. For some reason whenever I try to bake a white or vanilla cake from scratch it never turns out well. I have yet to master that one. 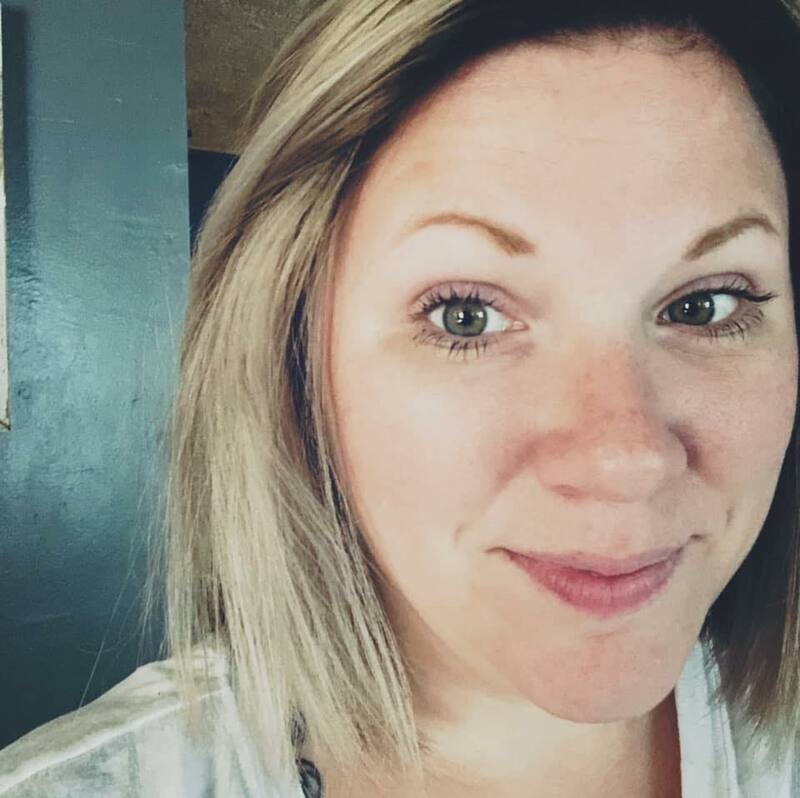 It tends to be flat, or seems like it is separating. It just never turns out well. Ever. The white cake from this recipe always turns out so well! It is moist, has the right amount of fluff, tastes great, and best yet, doesn't taste like it came from a box cake mix! 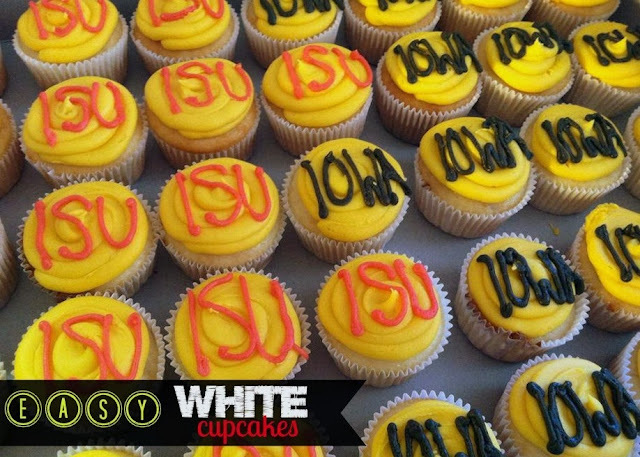 I recently had to make 250 cupcakes for Iowa's Cy-Hawk game. It is the big college football game where Iowa Univeristy plays against Iowa State University. It causes great diversity among friends, even households. (We are Iowa fans at my house). Since I had to make so many of them, this is the recipe that I used. I tend to always use my standard buttercream frosting for this cupcake also. It is so easy, and the sweet from the frosting is perfect with this cake. Many bakers use it as a wedding cake recipe because it holds up well and doesn't crumble, so it can be sliced and eaten with your hands as easily as with a fork. Combine cake mix, flour, sugar and salt together. Pour in water, vegetable oil, and extracts. Pour 1/4 cup batter into lined muffin tins. Bake until no longer jiggly in the center. Remove from muffin tin and let cool. With a mixer, cream the butter together for one minute to get it really fluffy. Add the powdered sugar, vanilla, almond and milk. Mix until the frosting holds peaks. 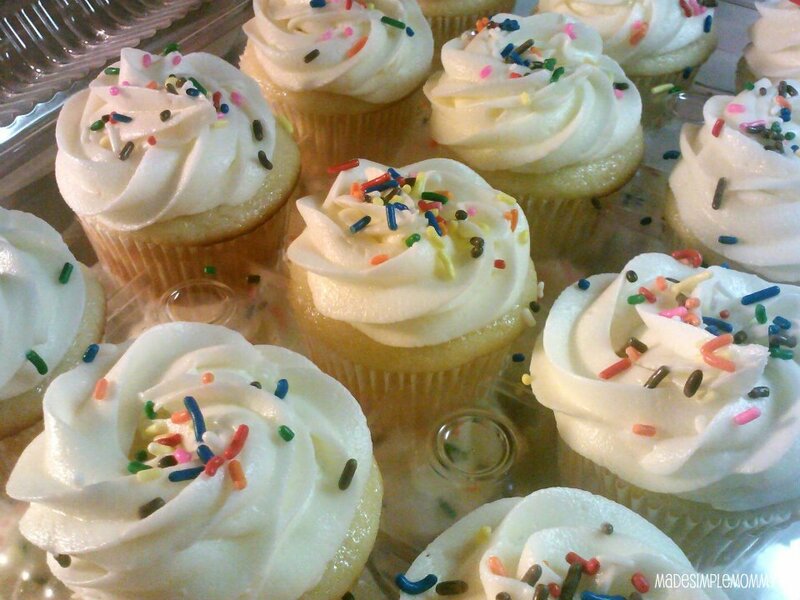 This frosting is perfect for adding color to and piping designs with.